On March 9, we marked the 8-year anniversary of when markets during the Great Recession hit the bottom on their lowest day. 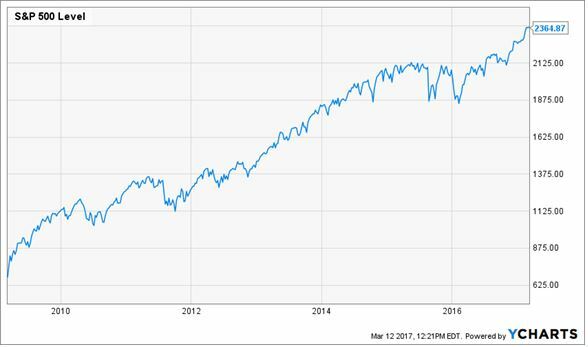 At that point in the economic meltdown, the Dow and S&P 500 had both lost more than 50% of their value since October 2007.4http://money.cnn.com/2009/03/09/markets/markets_newyork/ Every investor likely remembers the fear that gripped the U.S. and global economies, as questions lingered of how low we could go. On March 9, 2009, the index fell to 676.53.5http://finance.yahoo.com/quote/%5EGSPC/history?period1=1236571200&period2=1489035600&interval=1d&filter=history&frequency=1d Eight years later it rebounded to 2364.87.6http://finance.yahoo.com/quote/%5EGSPC/history?period1=1236571200&period2=1489035600&interval=1d&filter=history&frequency=1d With reinvested dividends, that growth represents an average annual increase of 19.45%.7http://www.investmentnews.com/article/20170306/FREE/170309947/clients-fret-as-bull-market-reaches-8th-birthday And the fundamental data tells a very similar story. Enjoy this Mexican-inspired seafood dish! Rinse all scallops and place them in a medium bowl. Pour lime juice over the scallops, completely immersing them. Let the scallops and lime juice chill all day or overnight, until they turn solid white and you can no longer see through them. 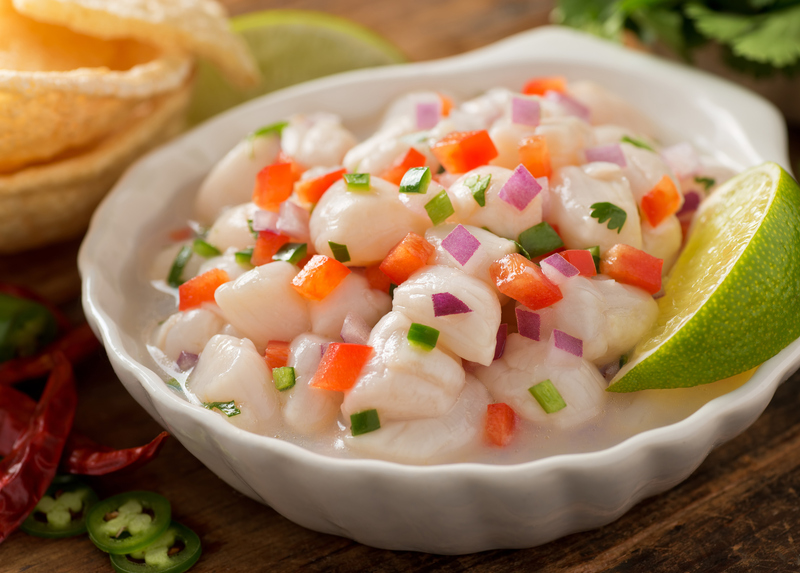 Take lime-cooked scallops out of the refrigerator, and pour out half of the lime juice. Add all remaining ingredients and stir gently until thoroughly combined. Serve in glasses garnished with lime slices. Used the loan only to buy or build a home, or substantially improve an existing one. Improved the home only up to your original mortgage principal before refinancing. To claim these tax exceptions, file Form 982, Reduction of Tax Attributes Due to Discharge of Indebtedness. You also can find more information on the IRS website. Deciding when to run or fly your pitch shot is essential for choosing the right approach to the green. Make the wrong move, and you’ll get stuck, sail past the hole, or miss the green altogether. With these quick tips, position yourself for an easier putt by changing your pitch trajectory. Stance: Keep your feet close together. Ball Position: Stand with the ball in the middle, and keep your weight over your front foot. Posture: Stand tall and close to the ball. You will feel your hands sit high. Swing: Hit your shot like a putt and keep your hands high so they won’t hinge. Stance: Put your feet under your hips. Ball Position: Make sure the ball is in front of you, and keep your weight over your front foot. Posture: Stand slightly bent over and farther away from the ball. Keep your hands low. Swing: Keep your hands low as you swing. This position keeps a hinge so your impact has a descending blow and creates extra loft. High blood pressure is no health joke, as prolonged problems can lead to an array of ailments. Fortunately, with a few lifestyle tweaks, you can help lower your blood pressure and potentially even avoid medication. Here are a few ways to get started. Reducing the salt in your diet can directly lower your blood pressure—and you don’t have to make big changes to create meaningful effects. You can reduce blood pressure by 2 to 8 millimeters of mercury (mm Hg) with even small adjustments to your sodium intake. Consistent exercise can greatly improve your blood pressure. When you exercise multiple times a week for 30 minutes each session, you can decrease your blood pressure by 4 to 9 mm Hg. Consistency is key though; once you stop exercising regularly, your blood pressure can go back up. Whenever you smoke a single cigarette, you immediately increase your blood pressure—and it stays elevated for many minutes. By quitting smoking, you remove this ongoing threat to your health and increase your life expectancy, no matter your age. Believe it or not, all that lint you remove from your dryer with each load of laundry can do more than just live in the trash. The fibers from the lint can be a great tool, so consider these ways to give your laundry lint new life. Soak up spills in the driveway: Liquids like motor oil can be difficult to clean up. Next time you spill some, try using laundry lint to soak up the fluid. Use as packing material: The fibers in dryer lint make it a very helpful cushion for shipping fragile items. You can use this in place of buying bubble wrap or stuffing the box full of paper, which saves trees. Stuff pillows: Making or mending pillows, or even quilting, and need more stuffing? You can skip a trip to the craft store by using your laundry lint instead. Use as fire starter: Whether making a backyard bonfire or lighting up your fireplace, you can swap fire starter for laundry lint, which is incredibly flammable. For this reason, lint also is a helpful tool to have on hand when camping.